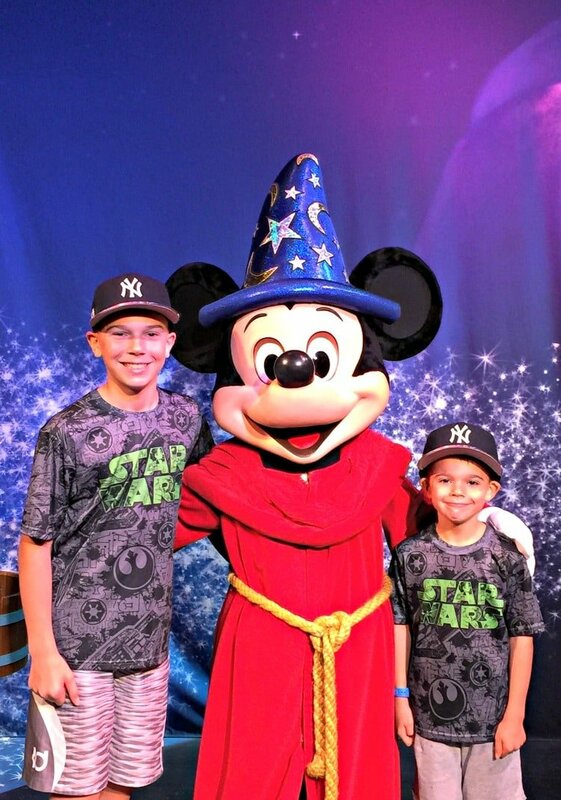 Disney with a Twist | Disney Vacation For Kids and Adults! 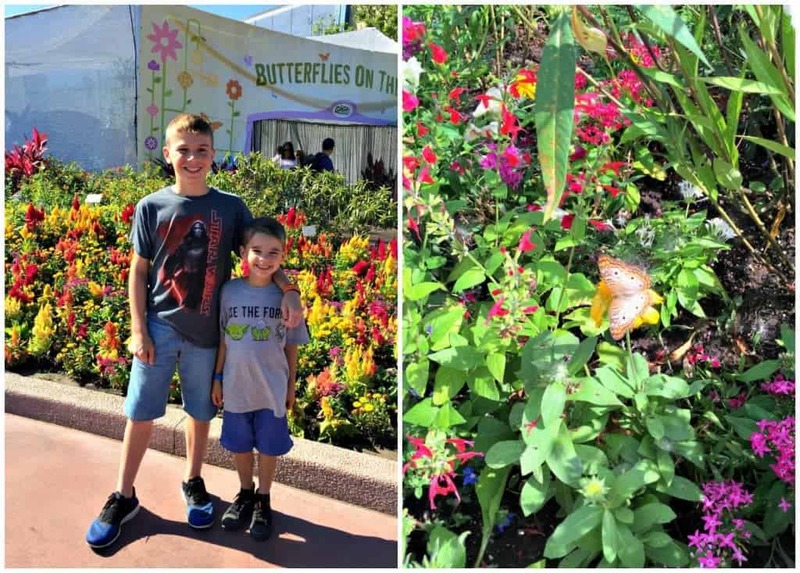 Disney with a Twist is all about our vacation to Disney…with a twist! 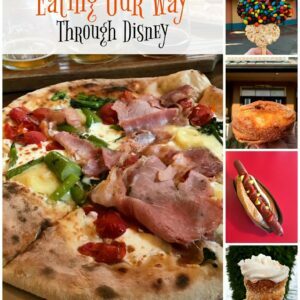 We’re going to explore the adult side of Disney too, the food and the cocktails! We are huge Disney fans. We’ve been there every couple of years with our kids, even when our youngest was only 6 months old. It’s the kind of trip that you plan SO long for, enjoy the heck out of it when you get there, and then try and plan the next trip as soon as you leave. I feel like as many times as we’ve been there there’s always more to see. New rides or shows or just stuff we haven’t done yet. So I’m going to talk you through our trip day by day – the rides, the kid stuff, and here comes the twist part…the cocktails. There’s got to be enough for the adults to get excited about too, right? That makes it a win win for everyone. 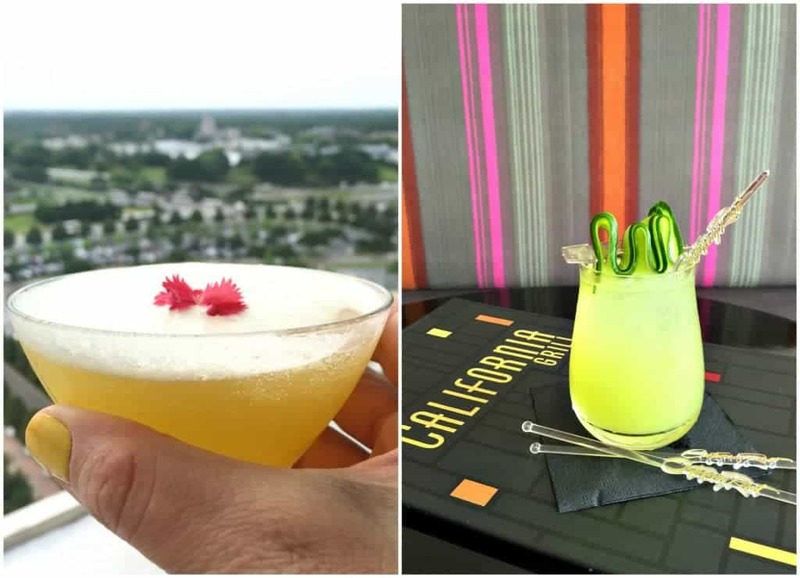 The first night was a highlight – we had dinner at the California Grill on top of the Contemporary hotel where we were staying. Starting off with Sake martinis and cucumber gimlets, then moving on to filet and pork belly sushi rolls. Unbelievable dinner and the view was even better. 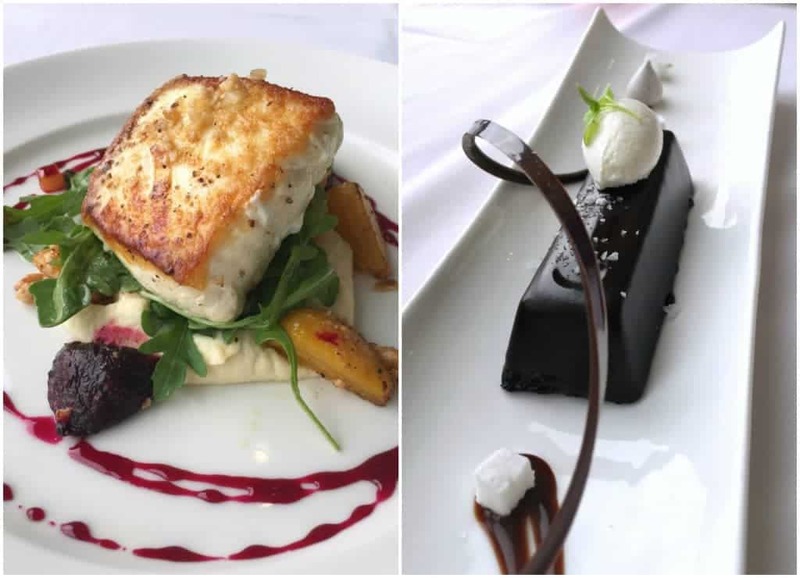 Then moved on to dinner, this was Christie’s – halibut with beets and a macadamia vinaigrette and a chocolate layered cake dessert with homemade marshmallows for dessert. Awesome dinner to start out the trip! Now I love going on the rides, which is a great thing for Christie since she’s not a big fan of the roller coasters…smaller ones are OK but nothing bigger than say the Seven Dwarfs Mine Train. This was the first year we all got on that one and it was awesome. My little guy cried in line, worried that it was going to be too scary. But he loved it so much he wanted to jump right back in line. 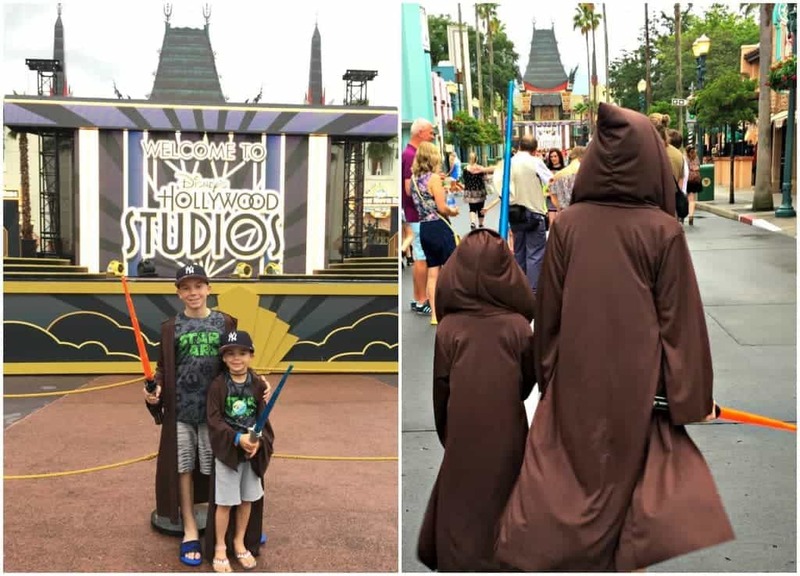 The first day we were there was in Hollywood Studios for “May the Fourth” which is a huge Star Wars day for all the fans out there, us included. Unfortunately it was raining that day – not like a burst of a shower or two but a total downpour. But what do you do when you’ve had this day planned for 6 months? 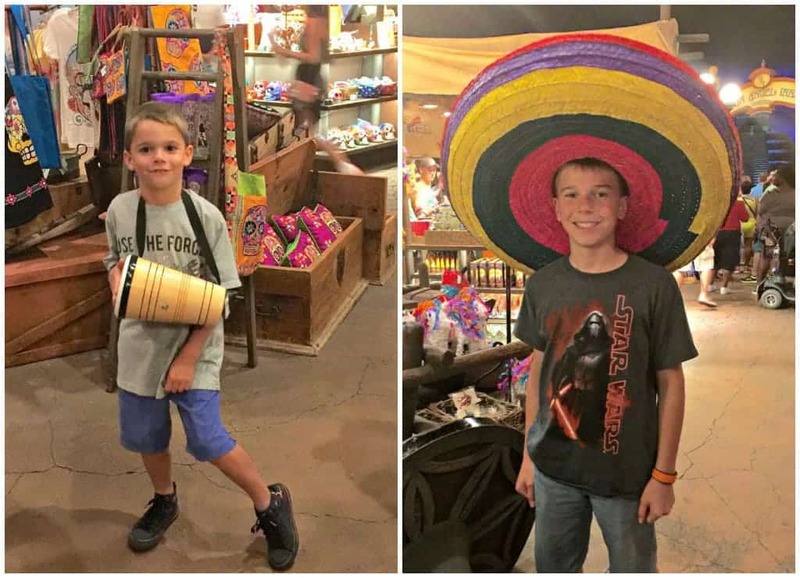 Put on the ponchos and flip flops and off you go to the parks. The pictures say it all – they were totally in awe. 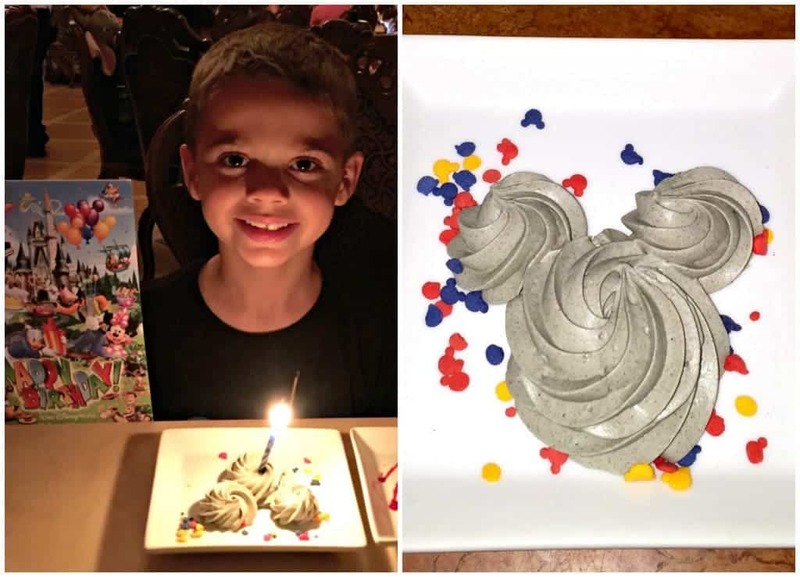 That night we had dinner at Hollywood and Vine which the kids loved – all you can eat food is right up their alley, and we definitely got our money’s worth. 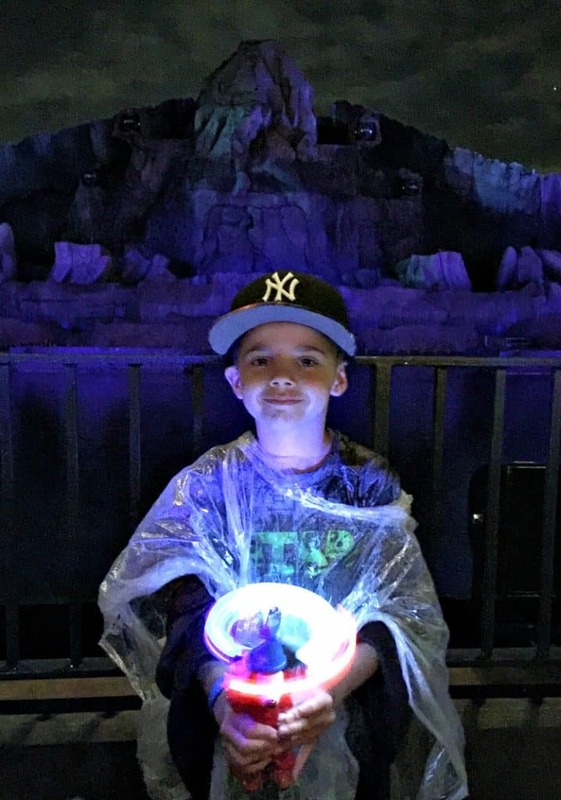 The rain seemed to magically stop as soon as we were headed to our first Fantasmic show, VIP tickets that we booked with our Hollywood and Vine dinner package. The weather that day was perfect – like perfect. 80 and sunny with a breeze. We got on Thunder Mountain (a couple of times) and then worked our way backwards from there. This trip was the first time we used the train at Magic Kingdom to help us get around a little. Seriously, why did we not use that before? It has four stops that take you all around the park – saves a ton on walking, and also it’s a fun ride. That night we had dinner reservations at Teppan Edo in Japan, like everything in Disney fashion, it was hibachi times ten. Filet, lobster, shrimp, chicken, whatever you can imagine, they had. 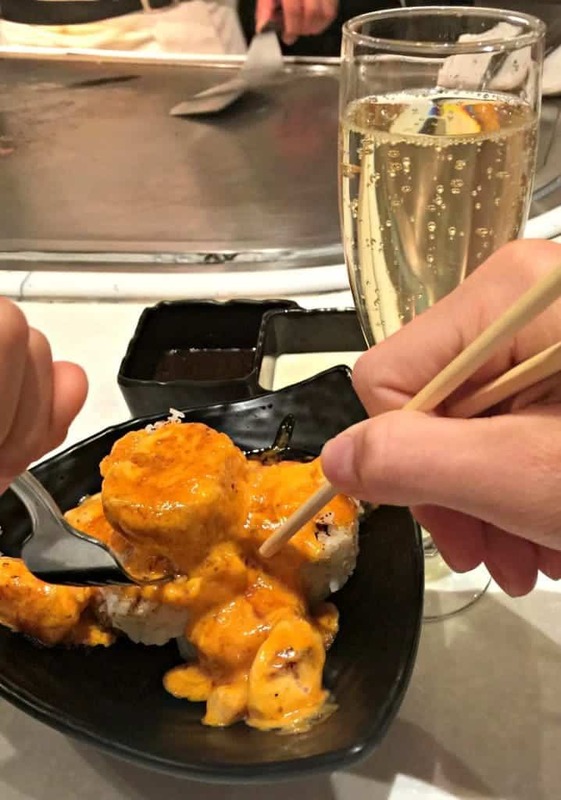 But the highlight was the grilled Dragon Roll covered in dragon sauce. SO good – well what the boys left us was good. After dinner we hit a few stops on the way out of Epcot, the Land and the Sea but our favorite ride Soarin’ was closed down for renovations! We were all looking forward to that one, but I guess it means we’ll have to head back soon to check it out. The next day was back to Hollywood Studios to hit the Rock n’ Roller Coaster and back for more Star Wars meet and greets. But just seeing all those storm troopers heading down the streets again, even as a guy who watched Star wars 30 years ago – it’s pretty amazing. 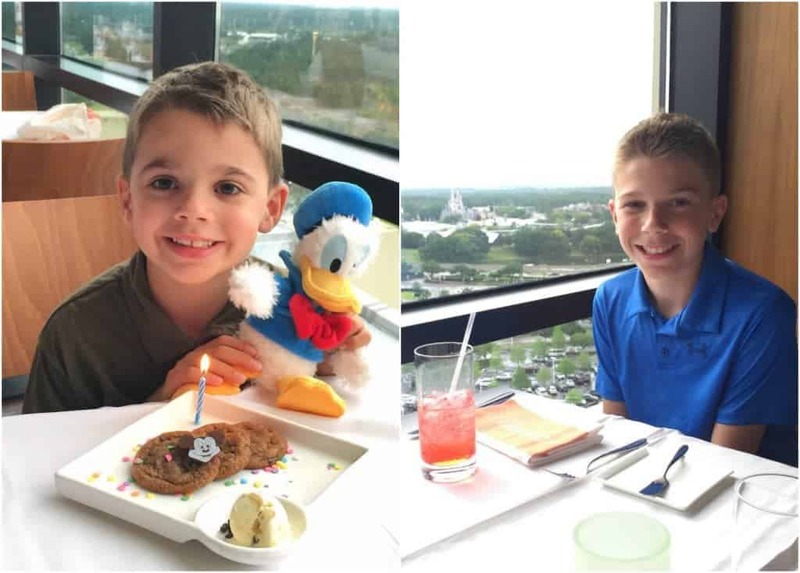 The next day, May 6th was my little guy’s birthday, the whole reason for our trip to Disney this time! So it was all about Magic Kingdom that day. All the rides he wanted to go on and then some. We went back a few times to repeat some of his favorites like Thunder Mountain and Seven Dwarfs. He also loved the Tomorrowland Speedway and the Astro Orbiter, so went on them a few times. I have to say the wait times for the rides on this trip really weren’t bad. Maybe it was the time of year or we were just lucky? Who knows, but I wasn’t complaining. We stopped off for a rest and to grab a Dole Whip. We we hungry? No. 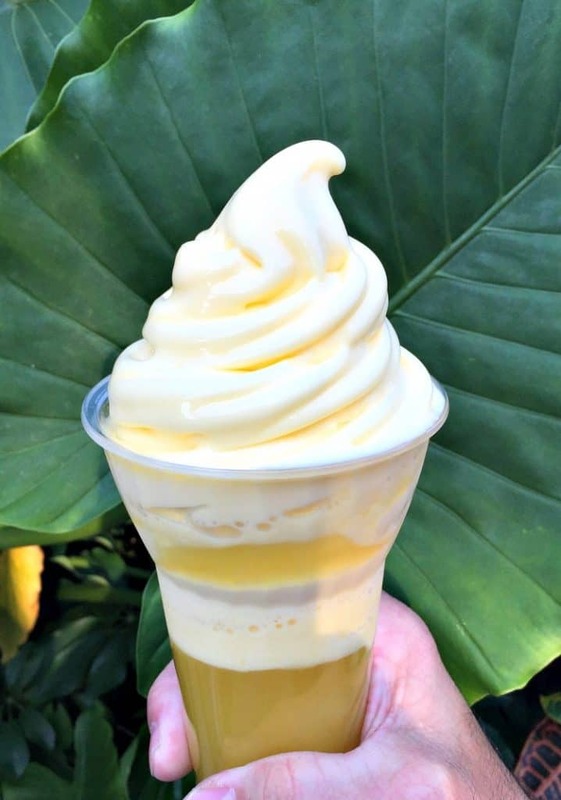 But you have to get a Dole Whip if you’re in Disney World. Has to happen. That night was dinner at the Be Our Guest castle. 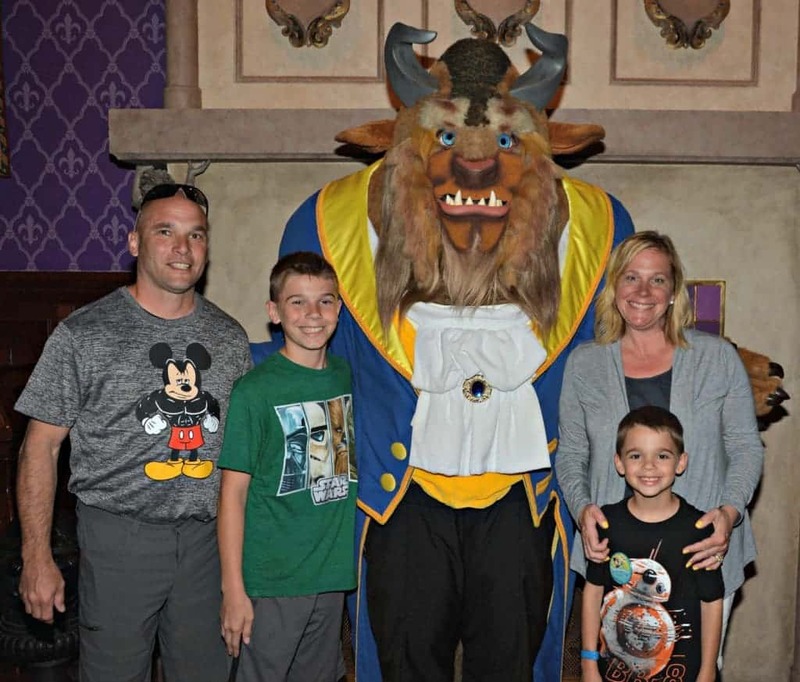 It was crazy cool – the Beast was there walking around and of course there to do meet and greets afterwards. Dinner was “delicious” and the surroundings were even better. He definitely felt like a king that night, right down to his Grey Stuff dessert. 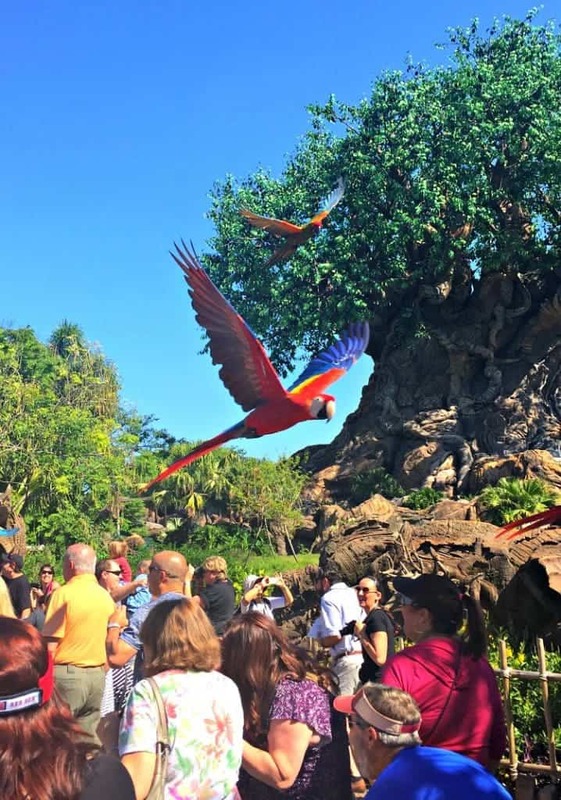 We hit Animal Kingdom on our last day and the first thing we did was run into this parrot show. They’re were about 30 parrots that they released at once over our heads so that the could fly back to their area…there’s me right under the parrot tail. See the guy ducking? They said that if you duck down that the birds will actually fly lower to be closer to you. Then it was time for the best ride in Animal Kingdom, Expedition Everest. Christie is never going on that ride again – ever. Besides having some crazy neck pain for about a week, it scares the crap out of her. The whole backwards thing is not her thing. So it was me and Ty. After that we headed back for more rides and food at Epcot. Evan had to get back on Test Track, and I had some food and drinks I needed to get to. Now it was time to get some bubbly. 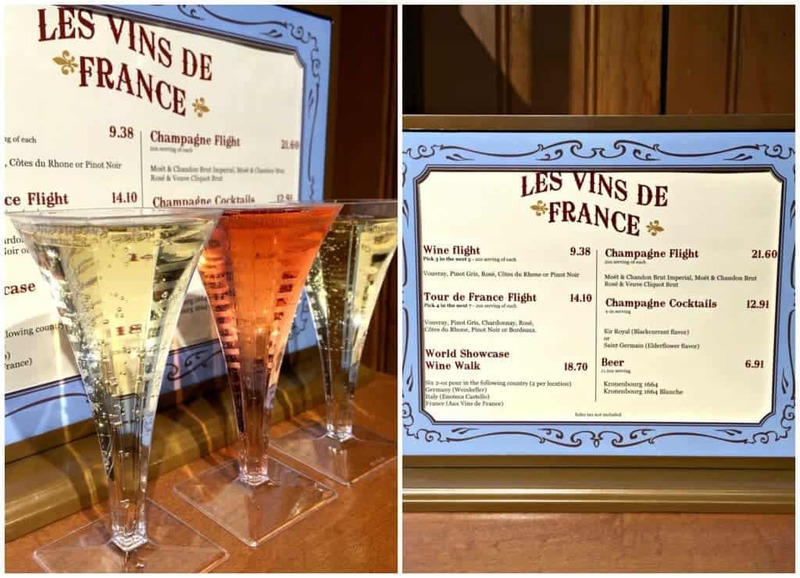 Champaign if France is where we needed to be…. I ordered Christie and I a champagne flight for tasting. And taste we did. Next it was off to Mexico. 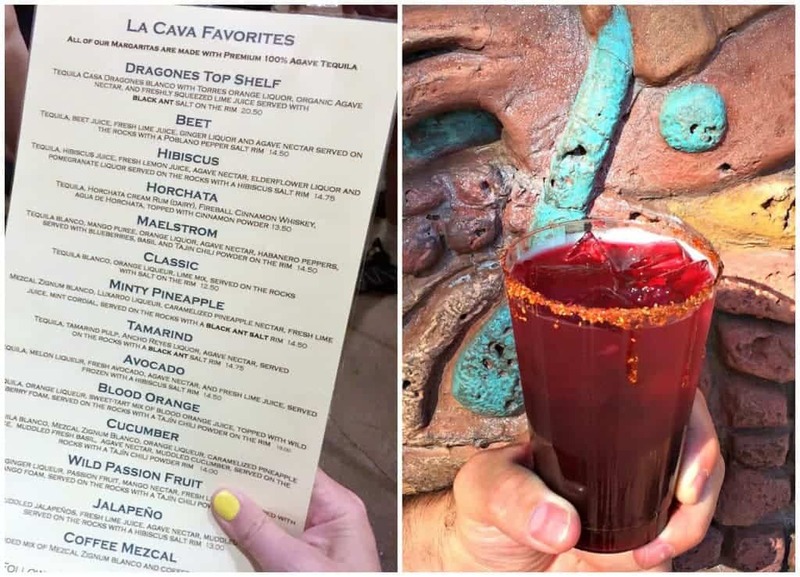 We heard that the best place for margaritas is La Cava so that’s where went, and it did not disappoint. The line was a little long, but gave us time to look over the crazy cool selection of margaritas they have. 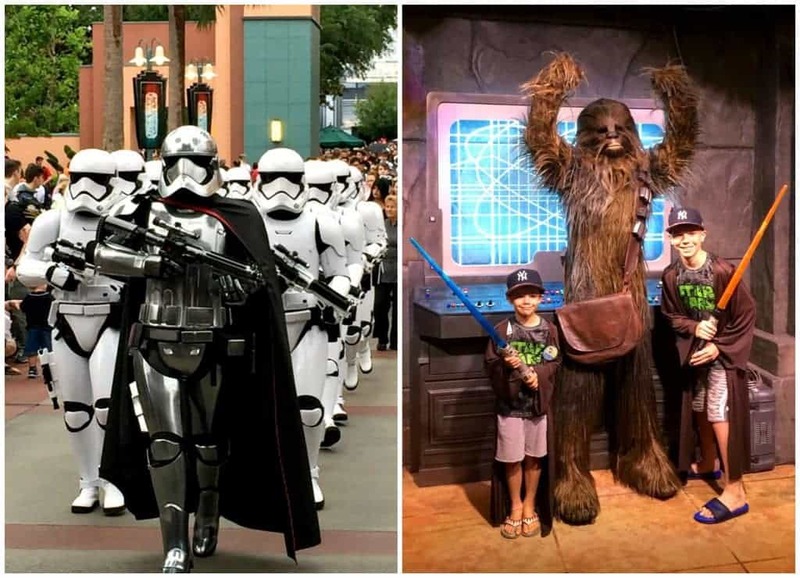 Don’t worry, while you are sipping all your cocktails in Epcot, there’s plenty to keep the kids entertained while you do. These guys’ were having a blast checking out all the shops and markets – it’s a little dark in there so the pictures aren’t the best but you get the idea. Beet margaritas in Mexico and champagne in France. 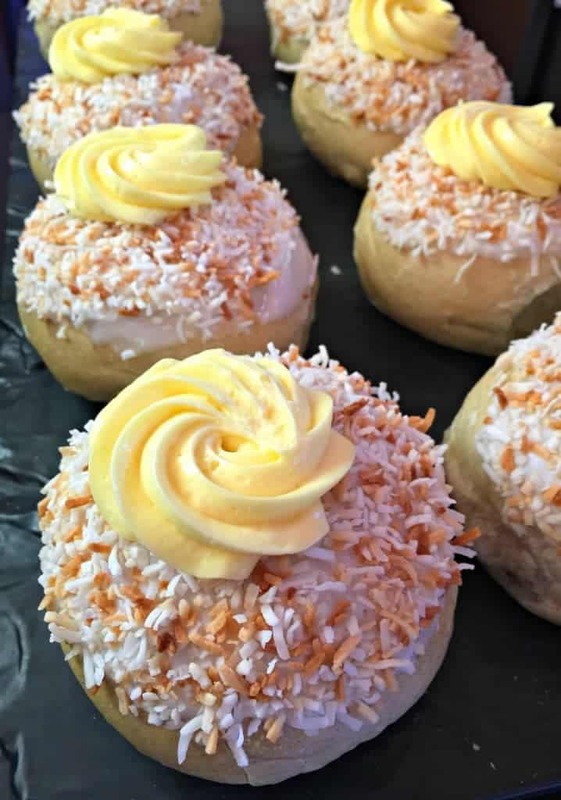 Honestly, I could’ve had one more day in Epcot just for eating. Even after all of that, we still managed to head back to our hotel for a late dinner of Lobster Rolls and pizza for the kids. Honestly some of the food in the hotels and at the quick service restaurants is just as good as the sit down dinners. We didn’t have a bad meal the entire vacation. And believe me, we tried it all. It’s always so hard to enjoy the last day on a Disney vacation, you know you’re leaving but you want to take it all in. We had the best room at the Contemporary, with a view of the fireworks right from our balcony. We watched them on the last night and said good-bye to one of our favorite places. 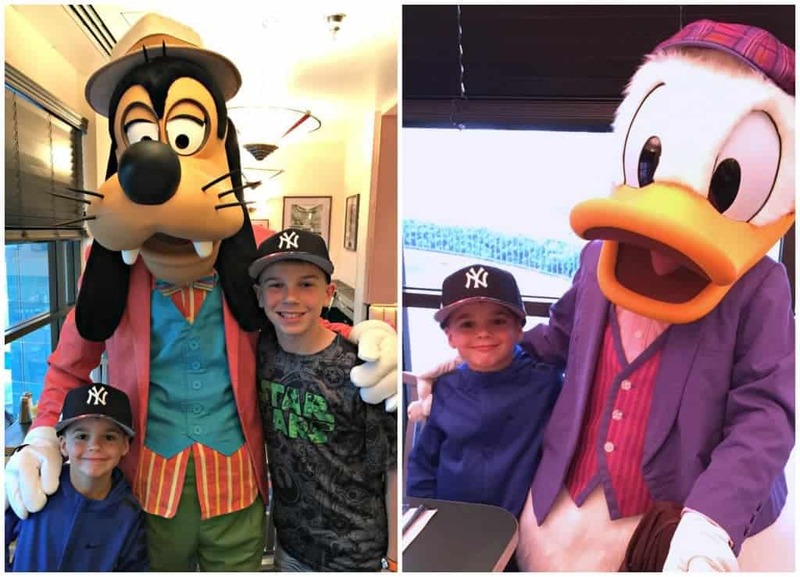 So if you’re thinking of planning a trip to Disney World – do like we do. Plan everything around dinners and food, then everything else will fall into place! 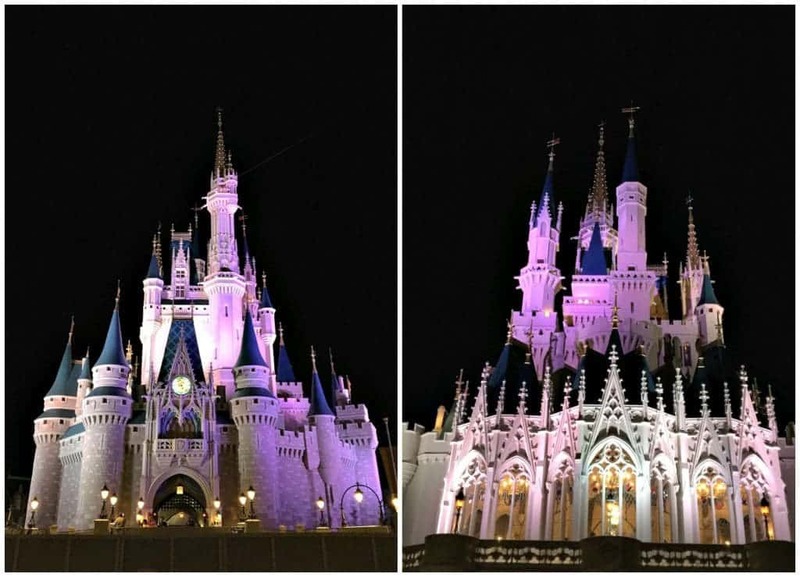 That was our last night leaving Magic Kingdom, the view of the front and the back of the castle. Sad to say good-bye to such a magical place!